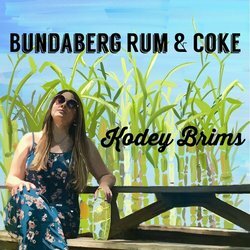 Kodey Brims has been lucky enough to cross the ocean with her music. Born in Brisbane to a coal mining father and champion athlete mother, the desire to be a touring songwriter was a surprise to them both; so they bought her a guitar. After years of writing lyrics in her bedroom, Kodey found her ticket to the States by obtaining a scholarship to attend Berklee College of Music in Boston, MA. Now based in Nashville, TN Kodey regularly performs in writers rounds around town.